Gift donated through Rev. Beverly Dale, Executive Director, in 1990, 1993, and 2001. Related Materials: Valuable data related to the CA has also been collected in the Information File collection and the Alumni Records collection of the Archives. Also, after the University Settlements were separated from the CA in 1963, the bulk of their records have been donated to the Urban Archives of Temple University. Most of the records of International Student House were transferred to the International House of Philadelphia in 1985. The Christian Association Records accessioned in 1990 and 1993 have been organized into the following series: 1. History, Bylaws, Mission Statement, 1897-1988; 2. Board Records, 1857-1990; 3. Committee Records, 1902-1989; 4. Administration, 1898-1990; 5. Programs, 1909-1990; 6. Financial Records, 1893-1990; 7. Affiliated Denominational Groups, 1912-1988; 8. Other Organizations, 1952-1990; 9. Scrapbooks, Cards, & Photographs, 1901-1989; 10. Memorabilia. The record group accessioned in 2001 has been arranged alphabetically by subject. The history of the Christian Association (hereafter referred to as CA) mirrors the changing values of the American society, as well as the flow and ebb of Protestantism in the country. Traditionally, the institution linked its mission for Christian advancement with such social services as operating settlement houses for the poor; providing summer camps for kids from less fortunate families in the vicinity of the campus; holding various kinds of social activities for women; financing needy students with low-interest loans; and undertaking lofty, though highly selective, foreign missions in underdeveloped countries like China and India. In 1943, as the campus of the University was substantially used as a military reservation and over three thousand students were in uniform, the CA acquired the status of Associated Wartime Agency of the local USO. Besides serving the civilian students, it was now expected to entertain service men as well. Recreational activities such as record dancing and Punch Hour proved to be most successful. The 1960s saw the CA’s interest surge in issues related to global peace, humanitarianism, social justice, as well as services specifically addressed to minorities or such marginalized groups as homosexuals. Although the CA continued to claim in its 1968 bylaws the purpose of “furthering the mission and ministry of the Church within the total University Community,” its emphasis had apparently shifted to enhancing humanism in general. From its inception, the CA has been affiliated with major denominations of Protestant Christianity: Episcopal, Presbyterian, Lutheran, Methodist, Baptist, and the United Church of Christ and in the early days, each denomination had a representative on its staff. After 1958, each denomination, while continuing to make token contributions to the CA, began to have its own budget. The CA, however, continued to help manage certain financial matters of the denominational groups, including programs related to funds and foundations in the latter’s charge. Since 1967, the CA, as a Protestant campus ministry, has enjoyed support from the Pennsylvania Commission of the United Ministries in Higher Education. In its early years, the CA relied heavily upon University alumni for financial support. Generous support for the expensive China medical program was an example. The CA’s position on various social and cultural issues in the sixties, however, somewhat distanced many of its “mainline” alumni. The aversion of well-to-do students and alumni to a leftist-tinged image of the organization, coupled with the decrease in the number of active and affiliated Protestant students in the University, greatly weakened the CA’s support base. Physically, the institution in its earliest days–the University Branch of the city’s Young Men’s Christian Association–was housed right in the middle of campus at 3449 Woodland Avenue. From 1896 to 1922, it shared the newly-built Houston Hall with the student union. Because of the expansion of the operations of the student union, however, the CA moved out of Houston Hall in 1922 and returned to the Woodland Avenue. It remained there until 1928 when the new CA building at 3601 Locust Street was completed. In the sixties, with the creation of Locust Walk, the CA found itself with a building located in the center of campus. The prime location and a reduction in the space needs of the organization enabled the CA to earn a significant income from the leasing of office and restaurant space as well as the rental of the auditorium and meeting places. By the mid 1980s, income from rentals surpassed the total income from endowments, donations from alumni and churches, and other external fundings. Because of financial and other considerations, the Association moved out of 3601 Locust Walk in late July 2000 and settled at 118 South 37th Street in January 2001. The CA’s hundred-year-plus history can be better understood through a closer look at the spectrum of its diverse programs. Shortly after its incorporation, the CA embarked on its mission along two lines–a commitment to social service and a salient international interest. In 1898, two Penn undergraduates, Josiah C. McCracken (M.D., 1901, and CA president of 1898-1900) and William Remington (B.S., 1900, and CA vice president of the same period), started a Sabbath-afternoon School for a group of boys in the neighborhood in a destitute area east of the Schuylkill River (one source puts it as 611 Schuylkill Avenue, another puts it as 2623 South Street). This attempt turned out to be the forerunner of two major programs of the CA’s social service in future–the settlement houses and summer camps. The CA General Secretary reported in 1899 that a “U.P. Christian Settlement” formally opened on January 1st, 1899, at 2524 South Street, and that the inauguration of the program and the supervision of the work had largely been a credit to Andrew H. Wood (M.D., 1899). 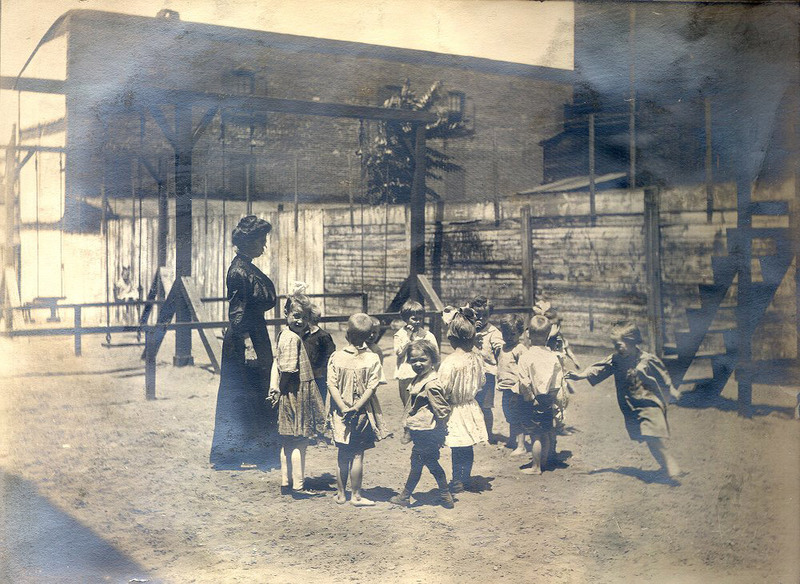 As the program grew, the CA moved the University Settlement House to 2601 Lombard Street in 1906. Later on, the settlement house program further expanded, first in 1928, to the Dixon House at 1920 South 20th Street, a property it eventually owned, and then in 1932 and 1945 respectively, to two others which it operated–the Oxmead Farm work camp in Burlington, NJ, and the Western Community House at 1613 South Street (the latter being formerly the Western Soup Society founded in 1837). In the meantime, a summer camp for boys started in 1907, when a property in Greenlane, PA, was donated for that purpose. A similar camp for girls followed in 1925. The camps were required to maintain as close as possible to a 50/50 white/non-white ratio, and had Penn students serve as counselors during the summer. Both programs–the settlement houses and the camps–flourished from the late 1920s through the late 1950s, when Dana G. How was the CA director. In 1963, the camps and settlement houses were separated from the CA and placed under control of the Diversified Community Services (DCS). The DCS, while having a board comprising mainly of CA Board members, was religiously unaffiliated so as to be eligible for funding from the United Way. 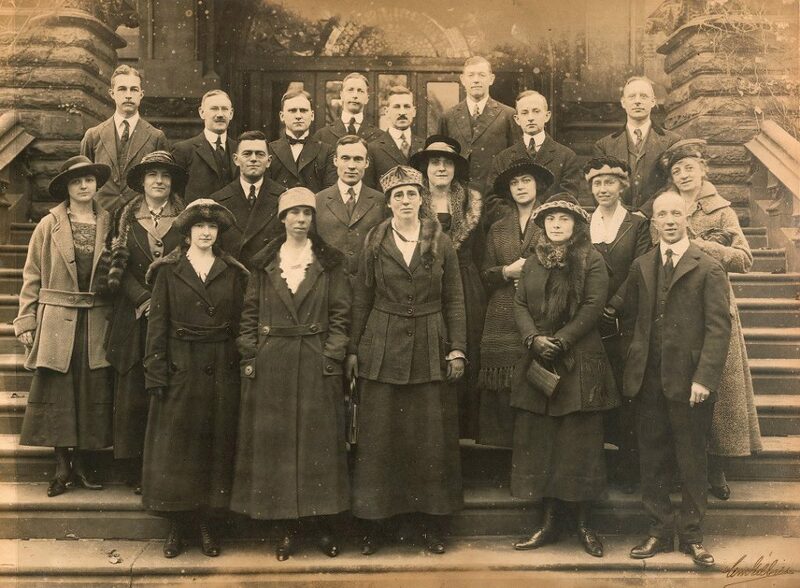 The CA’s work on women activities originated with the Young Women’s Christian Association of the University of Pennsylvania, which was formed in 1916. In 1922, the CA established its own women’s division, which was run by the Women’s Advisory Council (WAC), a body consisting of members of the YWCA and the wives of CA alumni. The WAC organized bazaars, crafts fairs, antiques fairs, teas and card parties for the purpose of raising funds for other CA programs. The women’s organization reached its peak in the 1950s and early 1960s, but then declined rapidly, voting to dissolve in 1978. Like other Ivy League schools, notably Yale and Harvard, Penn was swept by a zeal in missions overseas at the turn of the century. As early as in 1902, the CA Board resolved that for the purpose of making Jesus Christ the Savior known throughout the world, it would support a representative on the foreign mission in China. It appointed Andres H. Woods, who was then secretary to the Christian College, Canton, China, its representative. In 1905, it sent Josiah McCracken to China to study the feasibility of taking over the medical school from the Canton College. Two years later, McCracken left again for China to operate the medical school in Canton, which was then renamed the University Medical School. When the Canton Christian College resumed operational control of the medical school in 1914, the CA transferred its interest to Shanghai, and from 1914 to 1948, McCracken served as Dean of the Shanghai medical school called “The Pennsylvania Medical School being the Medical Department of St. John’s University.” It took nothing less than the approach of a nation-wide Communist takeover to induce McCracken to leave the country. The medical school sponsored by the CA turned out hundreds of Chinese doctors, whose contribution to the development of China’s modern medicine forms an outstanding achievement of the CA comparable to that of a similar project financed by the Rockefeller Foundation –the Peking Union Medical College. Similar to the McCracken mission, the CA formed in 1938 a committee exclusively for the purpose of supporting the work of Dr. Victor Rambo in India. Prominent members of the CA had paid for Rambo’s medical education, and as a result, he dedicated his life to the elimination of blindness in India through eye surgery. Following the death of Dana G. How, CA director from 1928 to 1958 and a personal friend and strong supporter to Dr. Rambo, aid to this Indian mission soon ceased. Two more international programs deserve a passing note. One was the International Student House, which was unofficially founded in 1908 when the Rev. A. Waldo Stevenson, with the help of his friend Edward C. Wood, took into his home a group of Chinese students who had had difficulty obtaining safe and decent accommodations in West Philadelphia. In 1918, the CA bought the Potts Mansion at 3905 Spruce Street and used it as the program’s home. While only twelve students could live at the house, it served as a center for hundreds of international students. In 1943, in order to secure funding from the Community Fund of Philadelphia, the International Student House separated from the CA to become the International House of Philadelphia. This program was reportedly the first of its kind in the country and has served as a model for other such institutions around the country. Another international program, the International Hospitality Program, was originally started in 1952 by the United Church Women of the Philadelphia Council of Churches as a host family program for foreign students and their families. It operated a clothing exchange and language classes, sponsored gatherings, and offered cultural training to wives of foreign students. In 1965, it relocated to the CA building, where it received administrative and financial support from the CA. Due to financial constraints of the CA, the program moved to and was taken over by the International House of Philadelphia in 1977. The CA’s interest in social service burst into a wide variety of cultural and social activities in the 1960s which corresponded to the liberal and civil rights movements in the nation in general. A series of art exhibits began in 1964. It gave new or less known artists opportunities to display their works. A film series started in 1970 and achieved a moderate level of popularity in Philadelphia. The viewings were not secular events as they were often followed by lectures or discussions of their theological, religious and ecumenical ramifications. Two of the more successful film oriented programs developed by the CA, The Neighborhood Film Project and the International Cinema Project, were taken over by the International House and continue to thrive. During the mid 1970s, the Wilma Theater became a resident theater company of the CA until it was financially on stable ground. The Cultural Harvest program started in 1980 as an umbrella program for various artistic endeavors. It supported the Big Small Theater (a Wilma Theater splinter group), the Fresh Fish Poetry series, and the People’s Energy Theater. The Big Small Theater, which enjoyed a moderate level of success and publicity, often tackled political and moral issues from a left-wing perspective. In addition to its interest in cultural programs, the CA reached out during this period along two more distinctive lines. One was a series of services and activities specifically addressed to homosexuals. A campus ministry to gay students took shape around 1970. By 1974 the CA had formalized its gay ministry. Its more outward support of gays included sponsorship of the Philadelphia Gay Cultural Festival in 1978, formation of Gay and Lesbian Peer Counseling, support of student groups at Penn (Gays at Penn, Lesbians at Penn, etc.) and creation of the Philadelphia Lesbian Gay Task Force (PLGTF) in 1978. The last organization was a support to the legal anti-discrimination efforts of the gay community at Penn and in Philadelphia. Although the CA terminated its relationship with PLGTF in 1983, its support of gay ministry through Gay and Lesbian Peer Counseling and gay student groups continued. During this same period, the CA expanded its interest in issues, local or global, that were related to the upholding of social justice and humanistic values. Globally, the CA was noted for its opposition to American military intervention overseas. It served as a sanctuary during both the Vietnam War and the period following the passing of the Selective Service Act in the early 1980s. Also in the early 1980s, the CA started sponsoring student groups like the Penn Peace Action Committee and a number of “Peace & Justice” projects, among them the Mobilization For Survival (MOBE) and Stop the Pentagon/Serve the People (STP). The CA also invited the Berrigan brothers, prominent for their advocacy of civil disobedience, for talks against nuclear weapons and gave financial support to such outside groups as Swords into Plowshares. In terms of geographical areas, the CA focused its attention more on two areas, Central and South America and South Africa. It supported such programs and activities as the Central American Solidarity Alliance, the Penn Committee for Divestment (from South Africa), and the Progressive Student Alliance. Throughout the 1980s, the CA organized Central America Week at Penn, a movement based originally on the memorial for Oscar Romero, a missionary priest killed in El Salvador. Parallel to its interest in issues abroad was the CA’s increased concerns over humanistic problems at home. The CA committed itself to a domestic mission called Project Mississippi in 1965. Participants in the program traveled to Tribbit, Mississippi, to build tent homes and facilities for striking tenant farmers who had been evicted. Outside of the Settlement Houses and foreign missions, this was the last CA program that reached out beyond the immediate University City area. In 1974, the CA organized the Penn Hunger Action Committee and in the early 1980s sponsored the formation of the Penn Committee for the Homeless. The latter grew in time into a cooperative program called the University City Hospitality Coalition, which started feeding local homeless people on a regular basis. Finally, a brief note on the structure and function of the Board and staff. While the Board of Directors represents the policy making body of the CA, a paid staff is charged with the day-to-day operations. Although the responsibility of the head of the staff has remained more or less the same throughout the hundred-year-long existence of the organization, the position has been known by such titles as Director, Executive Director, General Secretary, Executive Secretary, Co-Director, and Co-Minister. The personalities, backgrounds, and interests of individual directors have left noticeable marks on the tone, style, and inclination of the organization. For the most part the directors have been ordained Protestant clergy of various denominations. A notable exception was Dana G. How, who ran the CA for thirty years. Up to the time of Ken Spillman (1969), the CA Director also served as Secretary of the Board of Directors. The records of the Christian Association reflect the history of a hundred-plus-year-old institution which, with large and diverse investments, strong ties to the Protestant church, and a long and involved relationship with the University, has been engaged in a wide range of programs and activities. The History, Bylaws, Mission Statement series provides a cursory but comprehensive view of the history of the organization. It includes some historical documents of the early years, bylaws, mission statements, and the CA’s annual reports to the University Chaplain. Also included is information on the administrative structure of the institution. The Board Records series comprises all formal records of the Board of Directors including minutes, agenda, reports of various kinds, directories, and correspondence of the Board and its members. The minutes of the early years are in book form and include one minute book, 1857-1859, of the institution’s predecessor–the Christian Society of the University of Pennsylvania. The Board minutes contain valuable information about the ideas of the founding members as well as the evolution of the organization’s mission and policies. The Committee Records series contains records of the Executive Committee as well as records of various standing and ad hoc committees. Major operational committees include Student Cabinet, Camp Committee, China Medical Committee, Development Committee, Finance, Investment, Personnel, Program Committee, Property Committee, Rambo Committee, and Women Advisory Committee. The China Medical Committee file includes a well-preserved set of correspondence, 1912-1928, between Dr. McCracken, the medical missionary in China, and Edward C. Wood, CA Treasurer. The Administration series is one of the largest series of the collection. The Building subseries contain various kinds of material pertaining to the building at 3601 Locust Walk including tenant and rental arrangements, building reservation schedules, and maintenance and renovation records. Other major subseries are clippings, correspondence from 1932 to 1989, development file, executive director file, donation and fund raising files, International Student House records, and a large staff file including staff reports, meeting minutes, and correspondence. Also included in this series are subject files containing relevant material for staff reference as well as administrative files concerning various organizations with which the CA has been associated. The records of the various programs and projects undertaken by the CA are in the Program series. Programs run by standing Board committees include settlement houses, summer camps, student loan, and numerous activities sponsored by the Women’s Advisory Committee. Other major subseries are: bisexual, gay and lesbian oriented programs, Art Exhibit, Craft Fair, Cultural Harvest, film programs, Health and Wellness program, homeless oriented program, Peace and Justice Project, restaurants, lectures on Personal Ethics and Public Policy, Project Mississippi, Student Volunteer Center, theological seminars, Wilmot Project, and various worship programs. With the exception of the student loan file, which dates back to the 1920s, there is a noticeable blank in the documentation of programs before 1960s. The Financial Records series is the largest series of the collection in terms of volume. It includes a fairly complete set of audit reports dating back to 1909, balance sheets (yearly or monthly), budgets, financial statements (annual or monthly), donations, fund and foundation information, investment records, payroll and salary file, tax records, and a large group of oversize ledger books. The ledger books consists of those concerning the institution as a whole and those concerning specific programs. Also included in this series are financial records of the Wesley Foundation, affiliated with the Methodist denomination, and the Westminster Foundation affiliated with the Presbyterian Church. The Affiliated Denominational Groups series contains records of the six religious denominations that are affiliated with the CA. They are the Methodist, Episcopal, Presbyterian, Lutheran, Baptist, and the United Church of the Christ. In terms of church buildings, the series includes material of the Drexel Asbury/Methodist Church (with the Wesley Foundation), the St. Mary Church (with its Hamilton Village Council), the Tabernacle Church (with the Westminster Foundation), the University Lutheran Church, the Baptist Church, and the Church of the Savior. The Other Organizations series contains the records of hundreds of religious or secular organizations that had established relationships with the CA. One outstanding group of material concerns the Pennsylvania Commission for United Ministries in Higher Education. The Scrapbook, Cards & Photographs series includes scrapbooks of clippings, an autographed and book entitled A Chapel in Every Home, boxes of contributor data cards and cards for the Bazaar Fair sponsored by the Women’s Advisory Committee, and photographs. The photographs consist of three categories, namely, group pictures, individual pictures and building pictures. Dating back to the beginning of the century, many are of good historical value. Also included in this series are over forty slides made in recent years of the institution. The Memorabilia series is not very extensive. It consists of over a dozen of rubber stamps from the Camps and Dana G. How’s office. This record group is a continuation to the earlier group of 1857-1990. The bulk of the record group documents the activities and development of the institution under the directorship of Beverly Dale from the late 1980s to the end of the century. Most of the records are administrative files in the following categories: records of the Board of Directors, minutes and correspondence of various committees and staff meeting records and reports; records related to the use or rental of the building and facilities at 3601 Locust Walk; general financial files–balance sheets, budgets, and statements of income, expenditure audit, investment, and endowment; personnel files; and the file of a legal case from 1985 to 1994 between the Christian Association and the Gold Standard restaurant that rented part of the building space at 3601 Locust Walk. This record group also includes material of programs sponsored by the Association on a wide range of subjects, among them the black studies, the African American ministry, gay and lesbian peer counseling, etc. Related to these subjects is a group of papers written by the Executive Director Beverly Dale in the form of articles, speeches and sermons. To support its programs, the Christian Association turned to fund organizations from time to time. Included in this series are a file of the Pennsylvania Commission for the United Ministries in Higher Education and a file of the Pennsylvania Humanities Council, which documents grant application and budget matters between the Association and the two organizations. An extra feature of this record group is some old material of good historical value. There is a file of the Canton Christian College, 1910-1913, focusing on the building and facility cost of a medical mission the Association sent to China at the turn of the twentieth century; a miscellaneous file of Josiah C. McCracken file, 1902-1981; a file of the New Building Fund campaign for the construction of the building at 3601 Locust Walk in the 1920s; and a Episcopal Church file related to the programs the church sponsored in relation to Viet Nam and other college ministry work in the 1960s. International Student House of Philadelphia. Pennsylvania. Commission of the United Ministries in Higher Education. St. John’s Medical School (Shanghai, China). St. Mary Church (Philadelphia, Pa.). United Church of Christ, Evangelical and Reformed (Philadelphia, PA). 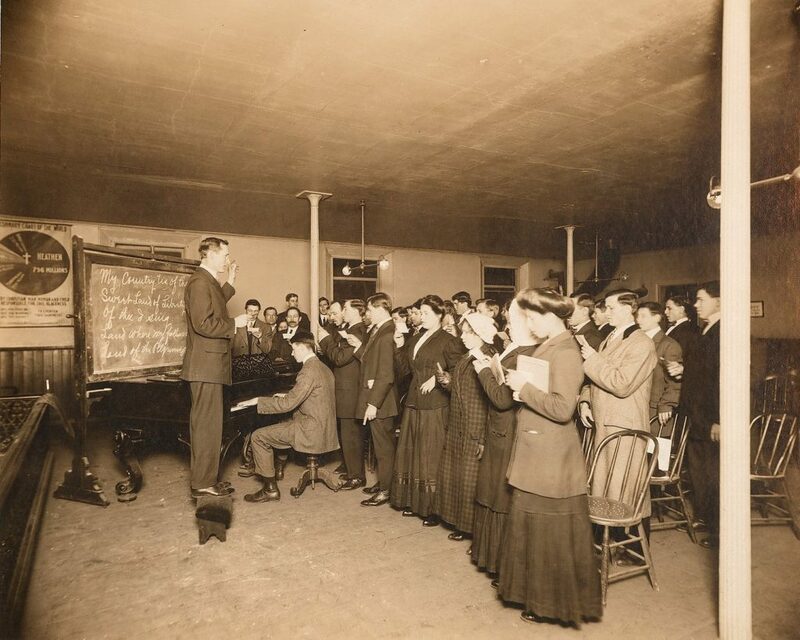 Young Men’s Christian Association (Philadelphia, Pa.). University Branch (University of Pennsylvania). Student volunteers in social service. Students volunteers in social service.